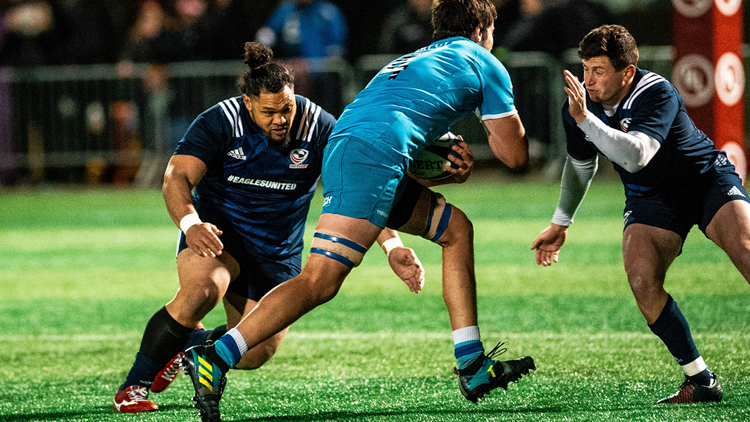 Oli Kilifi (USA) and Phil Mack (Canada) renew rivalry in the Americas Rugby Championship match Friday night at Starfire Stadium in Seattle. 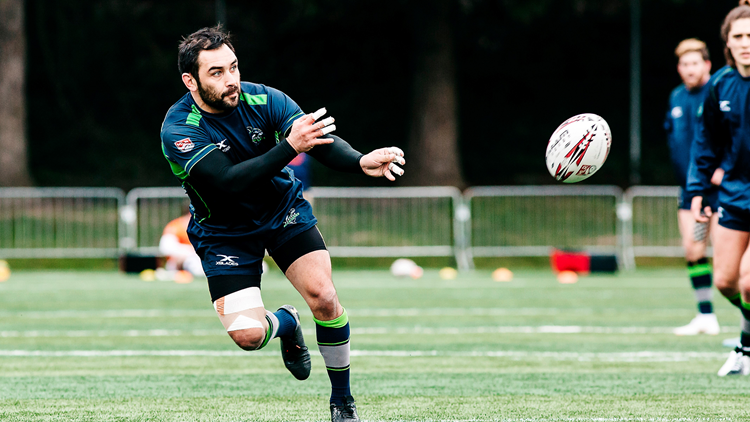 SEATTLE — This Friday (March 8), reigning Major League Rugby Champion Seattle Seawolves will host the 2019 Americans Rugby Championship and for two Seawolves stars, one of the games is taking on special meaning. Scrum-Half Phil Mack is on Team Canada’s roster, while SeaTac native, prop Oli Kilifi is repping the USA Men’s Eagles team. Phil and Oli have gone head to head numerous times in international competition, but this will be the first time they’ll face each other since both joined the Seawolves. While both say their positions don’t cross paths often on the pitch, Phil’s keeping an eye out for his hefty teammate. “I’m just hoping to avoid the big man,” he laughed. Both have been playing rugby for years, with Oli being introduced to the game as a child. “Rugby is part of my family,” he said. “It’s the national team for my parents’ home countries (his father is from Tonga and his mother is from Samoa).” He played youth rugby near his home town of SeaTac and earned All American honors while playing at Tyee High School. He debuted with the US national rugby team in 2013, with an international play win over Georgia. He was an instrumental addition to the 2015 World Cup team and served as Captain at the 2016 Americas Rugby Championship at the senior level. Each player described their position, for those who may not be familiar with the game. 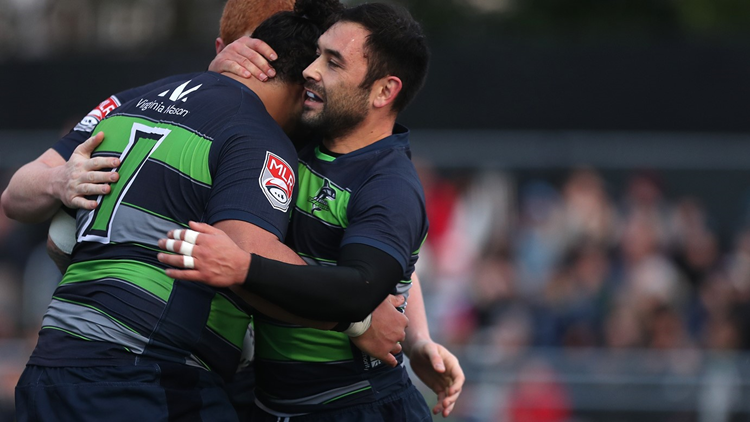 Both say they’re thriving within the Seawolves organization and credit their teammates and fans for helping build a team that won the Major League Rugby Championship Shield in its inaugural year last year. The Seawolves have a healthy fan base and have sold out every game to date. Who’s the better cook (and what’s your signature dish)? Who’s the more fashionable dresser? Who would win in an arm wrestling contest? Get to know Phil, Oli, and the rest of the Seawolves by checking out an upcoming game. 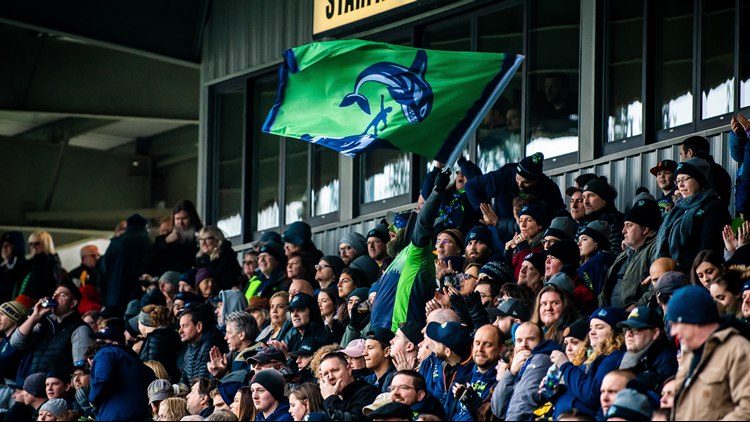 Find the schedule and player bios at: www.seattleseawolves.com. Kickoff is at 7:00 pm but gates open at 5:00 pm. Find game and ticket information here.